Tires with uneven tread wear pose a special driving risk – especially in cold weather or off-roading conditions. To prevent dangerous uneven wear and to ensure you get the most from those expensive tires you shelled out for, it’s essential to rotate your tires regularly. How often to rotate your tires depends on many factors. If you primarily drive on the street in Wahpeton, you may find that your tires don’t need to be rotated as often, while an AWD or off-road vehicle would require more frequent rotations to prevent damage to the AWD or 4X4 units. As a rule of thumb, the NHTSA (National Highway Traffic Safety Administration) recommends tire rotation every 5,000 miles – roughly every time you change the oil in most new vehicles. The best schedule, however, will be found in your vehicle’s owner’s manual, which should tell you not only how often you should rotate your tires, but when to change the oil, filter, and other fluids for the safest Breckenridge drive as well. 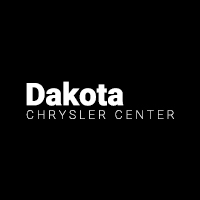 To learn more or to take advantage of money-saving coupons that help drive down your tire rotation cost, schedule a trip to Dakota Chrysler Center near Fargo today. 0 comment(s) so far on How Often Should I Rotate My Tires?